Liquid biopsy is a minimally invasive diagnostic tool helping not only in oncology applications, but playing an increasing role in applications including reproductive health and infectious diseases. The technology has a robust scope along the patient journey, from detecting cancer early and offering diagnosis to therapy monitoring and monitoring recurrence. Therapy guidance is liquid biopsy’s leading application, with early cancer detection being one of the promising near-term applications, depending upon when liquid biopsy can be proven at least equivalent to current imaging and screening tests (e.g., colonoscopy, low dose CT, etc.). Liquid biopsy uses multiple techniques, including both molecular and proteomic imaging, depending on the biomarker studied. However, next-generation sequencing (NGS) and quantitative polymerase chain reaction (qPCR) represent the major technologies currently marketed. Currently marketed tests are mostly single-gene tests based on PCR, but the market is moving towards a multi-cancer approach using NGS with a combination of artificial intelligence/machine learning (AI/ML) approaches. Cancer Monitoring — Treatment selection and cancer monitoring serve as short-term drivers to the adoption of liquid biopsy in the clinical spectrum, avoiding repeat or unwanted biopsies. Driving Investment From Venture Capitalists (VCs) —Liquid biopsy companies serve as acquisition targets and thus drive financial investment from VCs, pharma and/or medical device companies, and Tier 1 IVD Companies. 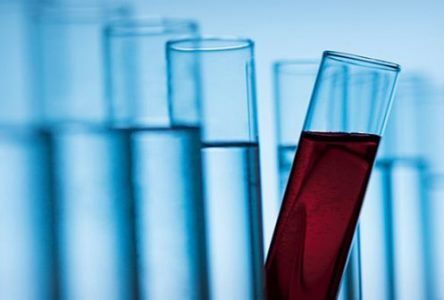 Patient Selection Tool — Liquid biopsies are an important tool in clinical trials, aiding pharma companies in patient selection, thus accelerating enrollment and lowering costs. This is particularly important to drive targeted therapies. Early Cancer Screening Market — Pre-cancer screening and early detection serve as long-term growth drivers for liquid biopsy. Gold Standard Inhibiting Growth — Tissue-based testing and imaging remain the gold standard of care, relegating liquid biopsy to a complementary tool role. Reimbursement Challenges — Limited reimbursement (non-coverage for panel-based tests) restricts the uptake of liquid biopsy testing. The NCD guidelines proved advantageous for approval of FoundationOne’s genomic profiling assay, but may work against other companies developing NGS-panel tests under the LDT scenario. If multigene NGS tests have not secured FDA approval or reimbursement coverage, it is up to Medicare administrative contractors (MACs) to approve coverage when a company seeks a local coverage determination (LCD). However, we find that most MACs lean toward the NCD to make a decision, and this is likely to create an unfavorable situation for liquid biopsy companies. High Cost Of Technology — Several liquid biopsy assays are based on high-throughput NGS technologies. The high cost of these technologies, and thus the assay, inhibits liquid biopsy uptake to some extent. Clinical Sensitivity — Clinical sensitivity presents a challenge to liquid biopsy because ctDNA is rare compared to hematological molecules found in a blood sample. Lack Of Clinical Utility Studies — The lack of large-scale clinical trials demonstrating liquid biopsy’s clinical utility inhibits the growth of this market. A recent survey assessed the adoption of liquid biopsy in the care continuum. The majority of survey respondents believe liquid biopsy can function as an adjunct to tissue biopsies in one to two years. However, a considerable number of respondents also felt it could take three to four years. When questioned about the most promising applications of liquid biopsy, survey respondents most often indicated therapy monitoring, diagnosis of recurrence, and post-treatment follow-ups responses. The liquid biopsy market remains unregulated in most countries, where most tests are offered as laboratory developed tests (LDTs) with a self-pay option. This is expected to change as reimbursement procedures evolve, along with incorporating such tests in standard care guidelines. Additionally, more companies are leaning towards providing health systems with enterprise access to their tests. This initiative is based not just on test cost, but also on monetizing patient conditions indicated by the test. To summarize, present opportunities for liquid biopsy include helping pharma companies select patients for clinical trials. Therapy monitoring and recurrence represent near-term opportunities. Finally, the early cancer screening market is a lucrative opportunity where liquid biopsy tests could potentially displace the current, predominantly imaging-based screening modality. Companies are looking beyond circulating tumor cells (CTCs) and ctDNA, investigating exosomes and nucleosomes for their potential to diagnose cancers early. NGS remains the preferred chemistry, but the incorporation of AI/ML technology is making a difference in the competitive positioning of companies. Divyaa Ravishankar has over 12 years’ experience in market research and management consulting. In addition to authoring numerous reports in the area of in-vitro diagnostics, she has advised clients on market trends, implications, and strategies on diverse topics as next-generation technologies, end user and product/feature/pricing analysis, merger and acquisition target analysis, international market expansion strategies, detailed demand modeling, and competitive analysis. Ms. Ravishankar earned her master’s degree in Biological Sciences from Birla Institute of Technology.